Darrow - and Reds like him - are nothing more than slaves to a decadent ruling class. 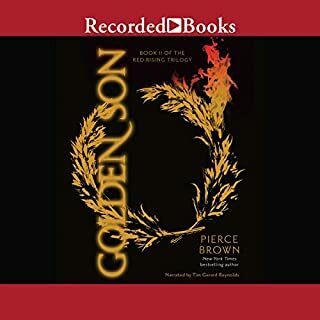 Inspired by a longing for justice, and driven by the memory of lost love, Darrow sacrifices everything to infiltrate the legendary Institute, a proving ground for the dominant Gold caste, where the next generation of humanity's overlords struggle for power. He will be forced to compete for his life and the very future of civilization against the best and most brutal of Society's ruling class. There, he will stop at nothing to bring down his enemies...even if it means he has to become one of them to do so. 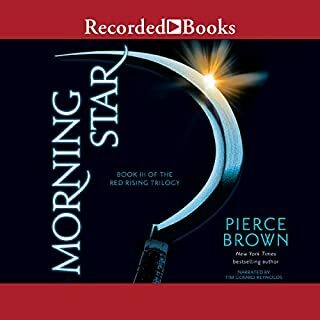 The Red Rising Trilogy, is my ALL TIME FAVOURITE piece of fiction, of any medium. Tim Gerard Reynolds is THE BEST narrator in the industry! Tim Reynolds gives another wonderful performance in the futuristic Roman Empire crossed with hunger games adventure! 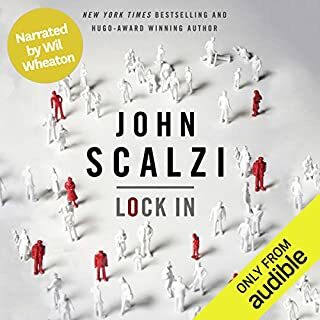 One of the best books I have ever read or listened to. I can't wait for the next one. I enjoyed all parts of the book. 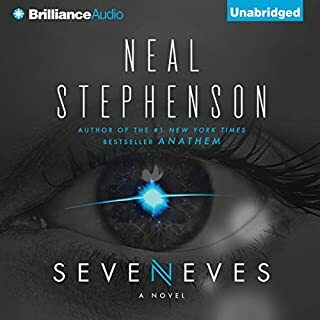 Great story and very good narration; it was hard to put down. The ending could have been better...but can't ask for the moon always. 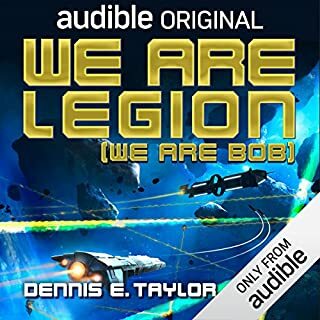 Will be picking up the 2nd audiobook in the series. Incredible! Could not turn it off. Get it. 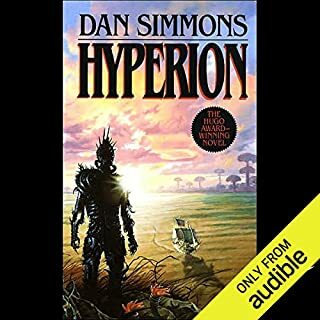 Top 5 favourite audiobook since I began my subscription 5 years ago. I very much enjoyed this story, not as big a fan of the teller but he was okay. 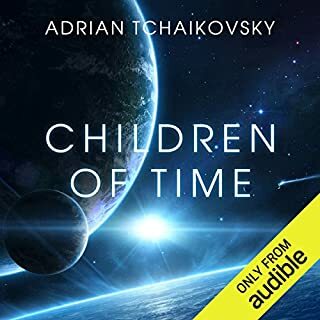 Pretty new to audio books, but of the few I've listened to, Tim Gerard has been my favourite narrator. Completely enhances the story, which is already great. Definitely recommend! great story. could use better narration. great story, couldnt stop listening. narrator does not do a good job of differentiating characters. Narrator uses strong accent at the beginning of the book that can be difficult to understand sometimes. Doesn't last too long and the rest of the book makes up for it. I don't remember the last time I stayed up all night to read a book, but this one had too much intensity too much momentum to put down. I just had to finish. Darrow's story is rich with memorable characters and emotion and had plenty of suspense. It's one that I'll remember for a long time. I can't wait for the second novel. Tim Gerard Reynolds makes it come alive. his accent brings the story a perfect edge and he does the wide variety of characters justice. 20K+ ratings are believable - it's a great book. Logical, smart and creative world building. Likeable characters. Good and credible twists and turns (for the vast majority of the time). What a tremendous series. This was one of my favorite listens in a long time. 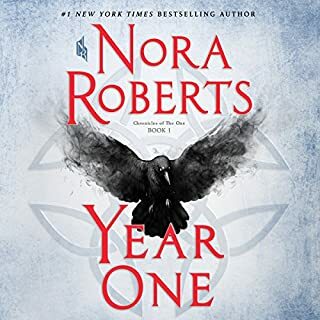 The first book starts off a little bit slow, but picks up the pace quickly and maintains it all the way through the end of the trilogy. One of the biggest draws of this book, for me, was how deep and rich the character development was. Each character is so multidimensional. And the complexities of the characters' personalities are reflected very well in the dialogue and the plot. The narration was one of the best I've heard. I loved hearing TGR's representation of Darrow mature with the character over the course of the trilogy. I highly recommend this book. And the next two as well! This is entertaining and it is smartly written. It starts out similar to Wool Or Silo. One reason this appeals to most people is the, can do attitude, of the main characters. The book starts with The Reds, who are the most oppressed group in the Universe, a Universe they do not even know exist. Once they do realize that they have been lied to all their lives, the odds against them seem unsurmountable. Many times I thought the author had really gotten his characters in so deep, he surly was not going to be able to get them out. 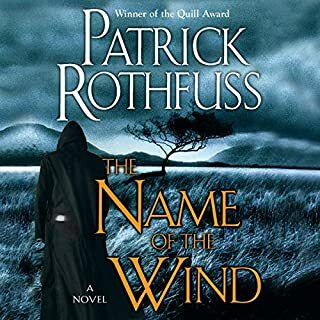 It has been a long time since an author has been able to make me wonder how in the world things were going to turn out. RULERS HAVE A TENDENCY TO DISLIKE THOSE WHO BREAK RULES. Then the book turns a 180 degrees. What was a story about a primitive, downtrodden people changes to high tech. In the past when an author has done this to me they lose me. This time I stayed with it and enjoyed the ride. The last half of the book is similar to Hunger Games with Greek Gods. I liked it a lot better and there where no whinny characters. This part of the book reminded me of the writing of Robert Reed. The only complaint I have is that I did think this section of the book went on a little too long. It was very entertaining for the most part, but I was ready for them to finish the game, long before they did. When they do finish, it is a grand finale that you don't want to miss. I will be getting the sequel. pulls no punches and the author has no problem killing off characters if it helps to move the story along. and turns and plenty of action. The ending may seem obvious from a ways off, but the journey geting there is certainly worth it. One of the best parts of this book is the narration by Tim Gerard Reynolds. It is simply fantastic. By the way, Disregard the comment of one of the reviewers, Tim Gerard Reynolds is irish, and just because he lives in LA, doesn't mean he was born there. I've already bought the sequel which is probably the best indicator of how good this title is. 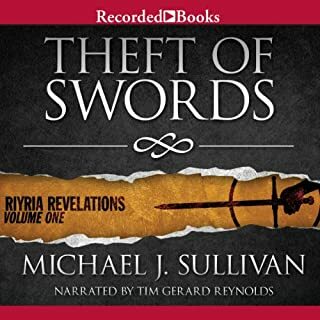 First, let me say that the fact that this book was narrated by Tim Reynolds was a primary reason I took a chance with this story. I was not disappointed in the least. 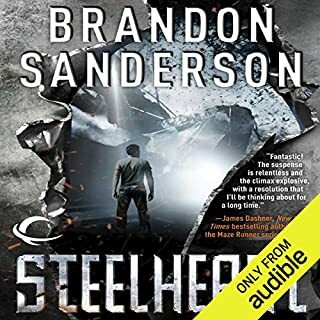 The story is told in the first person, which I particularly enjoy, and begins with a very dark and hopeless setting for our main character and his family and people. Even though our main character, Darrow, is only 16 when the story starts, I would hardly call this a young adult fiction. There are some pretty gruesome moments but nothing that is out of bounds. 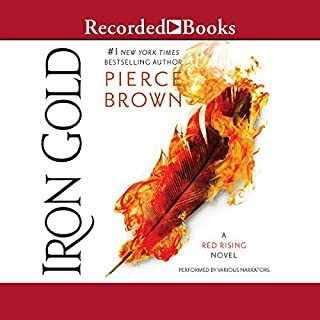 Brown is effective creating believable characters, both good and bad, that are complex and struggle with life and death choices. There are some lighthearted moments which help ease the tension, but not many. I've read some comparing this to Hunger Games, which is a stretch I believe. Maybe some elements such as overcoming oppression and injustice but everything else is quite different. Reynolds is at the top of the class in terms of quality narrators and bringing a story to life. Simply outstanding. The story does end a little abruptly and clearly sets up the next story, but hardly detracts from the quality of the book. 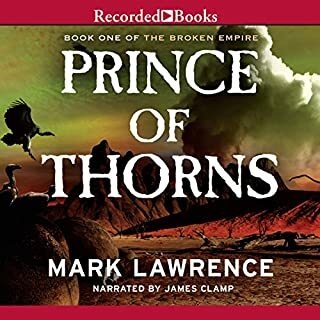 If you like epic fantasy yarns, and this one clearly sets up nicely for the remaining two books of this trilogy, you will enjoy this one. Most highly recommended. These books will define this decade of writing. The way these books captured my heart caught me completely off guard. I am not a Sci-Fi fanboy. I thought after the 1st few chapters that I knew how the whole book would play out. I was wrong. I am so elated with these books that I am crying. The only bad thing I cannot stop thinking about is that I heard they are going to make this book into a movie. A movie will in no way capture the heart of this book. A movie will ruin it. A TV series will be needed. Zero doubt in my mind. This is the way I like to hear a hero be intelligent, honorable, and understanding when maximum violence is necessary not pouting when it's time to act. 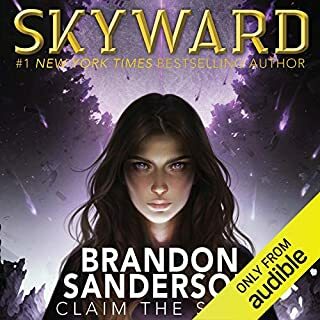 This is one of those books that you wait entire year hoping to find - solidly written, great storyline, intricate characterizations, and without the need to suspend disbelief at poor world building. Once I started reading, I couldn't stop as the story unfolded and surprised me at so many turns. The synopsis - a boy in the lower echelons of a society, born into slave labor in the RED mining quarters underground in Mars, will find his life irrevocably changed when a small civil disobedience spirals into unforeseeable events. And one woman will choose a path for him through her own strength and sacrifice. To give any more of the plot would be to spoil the surprises to come. 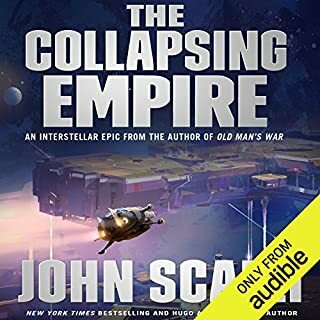 This book was, to me, pure space opera. 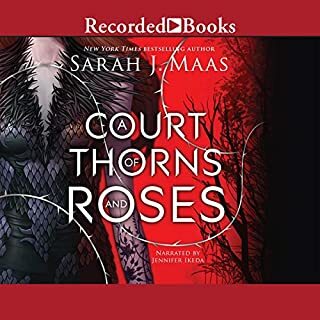 And this is just the first novel in a series with huge potential - I simply cannot wait to see where the author will take the characters in the next novel since it promises to be a huge change as well. If I had to sum up the feel of the story - it would be a melange of the philosophy of Gattaca, action and conflict of Hunger Games, and grungy setting of Total Recall. As well, there is definitely the underlying earnestness that you find in a Homer Hickman book. Of course, creating analogies can make the book sound derivative - which I never felt while reading it. Somehow, all those influences converged into a book with characters that are flawed, real, and very interesting. Especially, the women aren't nuns/whores prototypes in so many books like this - they are full fleshed characters as well. 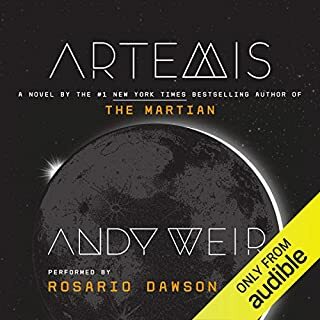 This really is one of those books that comes rarely - wholly satisfying science fiction type dystopia with an engaging and surprising storyline that is easy to read and not bogged down by descriptions or the science in the fiction. Yes. Already have. This book has everything a fantasy/sci-fi/dystopian lover could ever want. 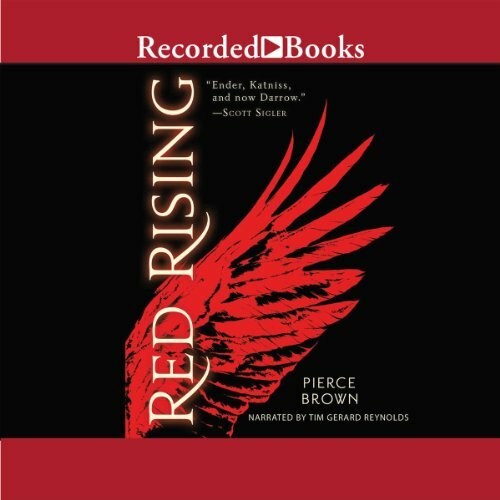 What was one of the most memorable moments of Red Rising? 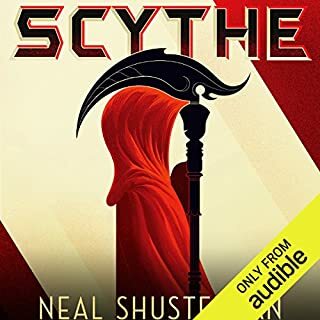 The only reason I didn't give Red Rising five stars (and maybe this isn't fair) but many elements of this novel seem cliche... like Hunger Games, Ender's Game, Sparticus and various classic mythologies thrown in a blender. Makes a very delicious smoothie though... Plenty in there to distinguish it from other dystopian works but enough similarities that it was a touch... banal? Still enjoyable. Still a thrill-ride.